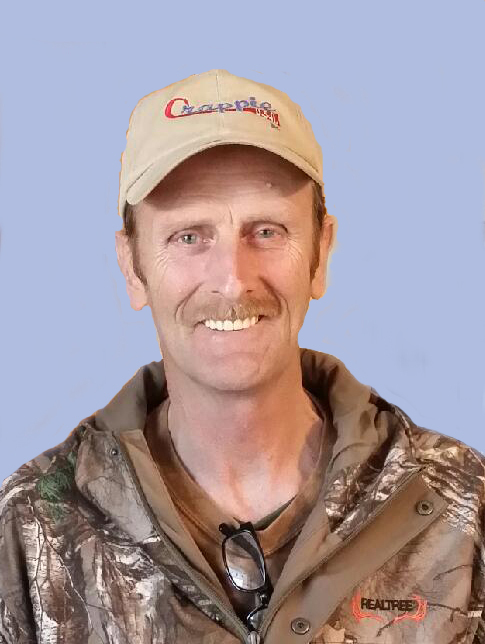 Anthony “Tony” J. Ahlf, 56, of LeClaire, Iowa passed on Friday, January 25, 2019 surrounded by his loving family. Visitation will be from Noon to 3:00 p.m. on Wednesday afternoon at McGinnis-Chambers Funeral Home in Bettendorf, Iowa. In lieu of flowers, memorials may be directed to the family. Tony was born on March 20, 1962 in Muscatine, Iowa, the son of Kenneth and Rogene (Munson) Ahlf. On June 20, 1988, he married Libby R. Carr in Muscatine. Tony worked various jobs including picking watermelon, building silos, and was a member of Local 309. He enjoyed fishing, hunting, and cooking his harvest for family and friends. He loved spending time with his girls, most importantly telling them to, “Just eat it. It will put hair on your chest!” Tony liked working on things and his Friday nights in the garage. He was a jack of all trades and master of none. He enjoyed listening to old rock n’ roll music and also doing puzzles on long winter days. Those left to cherish his memory are his wife of 30 years, Libby Ahlf of LeClaire; daughters, Emily and Molly Ahlf, both of LeClaire; mother, Rogene Ahlf of Letts, Iowa; brothers, Daniel (Dana) Ahlf of Muscatine, Timothy (Cindy) Ahlf of Letts; sisters, Debbie (Brett Baer) Ahlf of Muscatine, Teresa (Bill) Boots of Letts; mother-in-law, Chris Carr of Promise City, Iowa; several brothers and sisters-in-law; and many nieces, nephews, and great friends. He was preceded in death by his grandparents; his father, Kenneth; father-in-law, Edwin Carr; and brother-in-law, Beano Carr.